This book brings together geographers and literary scholars in a series of engagements near the boundaries of their disciplines. In urban studies, disproportionate attention has been given to a small set of privileged 'first' cities. This volume problematizes the dominance of such alpha cities, offering a wide perspective on 'second cities' and their literature. The volume is divided into three th… emed sections. 'In the Shadow of the Alpha City' problematizes the image of cities defined by their function and size, bringing out the contradictions and contestations inherent in cultural productions of second cities, including Birmingham and Bristol in the UK, Las Vegas in the USA, and Tartu in Estonia. 'Frontier Second Cities' pays attention to the multiple and trans-national pasts of second cities which occupy border zones, with a focus on Narva, in Estonia, and Turkish/Kurdish Diyarbakir. 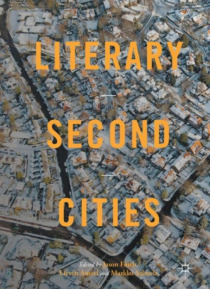 The final section, 'The Diffuse Second City', examines networks the diffuse secondary city made up of interlinked small cities, suburban sprawl and urban overspill, with literary case studies from Italy, Sweden, and Finland.